Coverage: Watch live on BBC One, BBC One HD, online, mobiles and BBC Sport app from 14:00 GMT; live commentary on BBC Radio Wales, Radio Cymru & online; updates on BBC Radio 5 live; text commentary on BBC Sport website and mobiles. 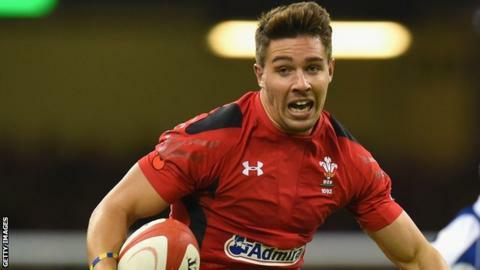 Wales scrum-half Rhys Webb says his side can take inspiration from Ireland's win over South Africa when they face the Springboks on Saturday. Ospreys player Webb has recovered from a groin injury in time for the match at the Millennium Stadium. And victory in the final game of the autumn series could help Wales claim a first win over the Springboks since 1999, which they won 29-19. He was taken off during the 34-16 defeat to New Zealand, having scored a try earlier in the game. Defeat to the All Blacks made it 26 successive losses for Wales against New Zealand, Australia and South Africa, a run Webb is hopeful of ending on Saturday. "We know it can be done," he added. "We can take a lot of positives from the summer, where we nearly beat South Africa. "We got a good margin of lead, a good scoreline and then we just blew it in the last couple of minutes." South Africa have had to make five changes against Wales because the match falls outside World Rugby's international window. But with the likes of Cornal Hendricks - who scored during the Springboks' Test series win over Wales in June - among those recalled, Webb anticipates another robust challenge. "Looking at the guys coming in, they've had a number of caps for South Africa as well," he added. "We know they're going to be a physical team and they've got some exciting backs out wide. "We want to play our own rugby and not get caught up with any battles. "As long as we give the same effort we gave at the weekend [against New Zealand], it should be a good day."